Of all the people who have disappeared from my TV, there is one who I miss the most. It's not Party Down's Lizzie Caplan, or Jerry Seinfeld, or Cheers-era Ted Danson. It's TV's saddest casualty, Kim Kardashian's husband of 72 days, the Humph. But today, friends, I can finally end the candlelight vigil I've been holding in front of my basketball jersey-draped TV, the grunting Nets player is coming back to television. 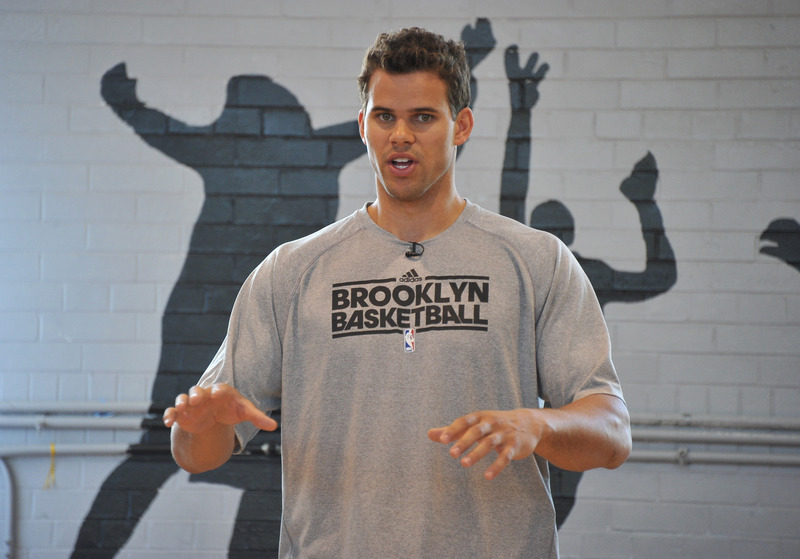 That's right, Kris Humphries is guest-starring on The Mindy Project . We're going to get more of his natural ease and charisma, all thanks to Mindy Kaling's genius casting move. Humphries, however, won't be the only guest star on season two of The Mindy Project — it was previously announced that James Franco and Happy Endings' Adam Pally will both make appearances. Compared to Humphries though, who cares? Sure, Franco is a talented, Academy Award nominated comedy and drama actor, and Pally stole every scene on Happy Endings, the Humph can make his pecs move. I don't know what's going on at The Mindy Project with all of these guest stars, but please, keep them coming. Maybe next will be The Hills' Justin-Bobby.